With a season-opening, Monday night matchup against the Los Angeles Rams looming, the Oakland Raiders wrap up their preseason with a game against Pete Carroll and the Seattle Seahawks. Given how little the starters played last week, you can assume that anyone of consequence will find themselves without pads on this week — but that doesn’t mean this game will be without intrigue. On Sept. 1, the Raiders will need to release 37 of their 90 players, and this game will go a long way in determining who survives and who doesn’t. 1) Chris Warren, Rushing Champ? Heading into Week 4, the undrafted rookie out of Texas leads the league in rushing yards with 250 (53 more than anyone else). With guys like Marshawn Lynch and Doug Martin surely to get quite a bit of rest, it’s reasonable to assume Warren will get another heavy dose of carries. While most starters will get the week off, it will be interesting to see whether these two get some extra work in as they adapt to a new level (Miller) and a new position (Penn). If they don’t play (which seems likely), coaches and fans will have to cross their fingers in hopes that they figure it all out once the lights come on. As I set out to make my roster predictions, linebacker was one of the toughest positions to gauge. While Emanuel Lamur, Derrick Johnson, Tahir Whitehead, Marquel Lee, Nicholas Morrow and Kyle Wilber all seem like safe bets to make the team, there are two other guys with an outside chance at making the roster: Jason Cabinda and Azeem Victor. Cabinda is a nickel linebacker, while Victor was one of the team’s sixth-round picks from this past season. If either guy wants to establish himself as a special teams standout or necessary part of the 2018 defense, this is the time to do it. Fadol Brown and Shilique Calhoun have both had great preseasons, but with the ridiculous amount of depth the Raiders boast along the defensive line, this might be a situation where we have two guys fighting for one spot. Calhoun has the advantage of coming out of college with a pedigree (he was a third round pick), but even he was cut by the Raiders last season before being added to the practice squad. Brown, on the other hand, was an undrafted free agent out of Ole Miss. 5) Can we get some excitement? With all of the starters figuring to be on the bench, it’s hard to imagine this being a good game, and yet, it’s also hard to imagine it being any worse than the last two. 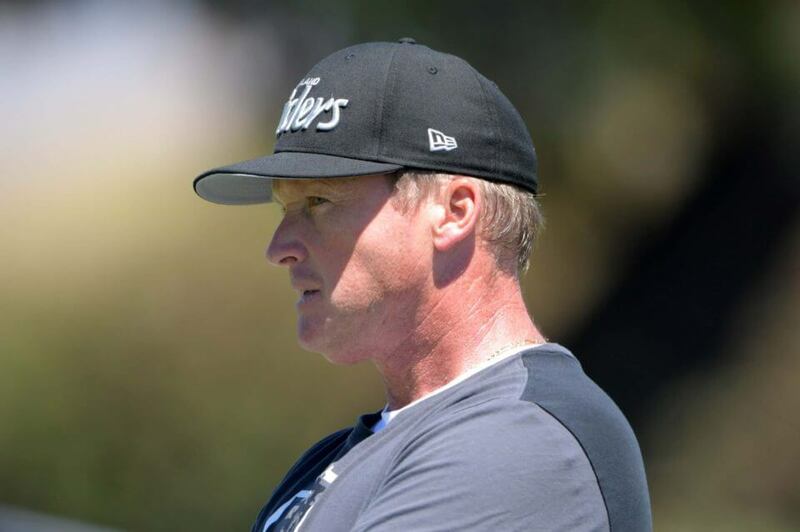 One reason for the lack of excitement is Jon Gruden’s desire to keep his approach a mystery as he re-enters the league this season. While that won’t change this week, maybe some guys fighting for their playing lives will bring a little more juice than we’ve seen lately.